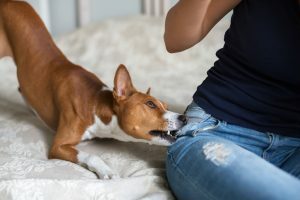 The dog bite lawyer team at Krasney Law is a premier California firm representing dog bite victims. We have many years of experience in dealing with personal injury lawsuits, including dog bite attacks. Dog bites are common phenomena and people often take them lightly. But a dog bite should not be overlooked as even a minor bite from a small dog can cause serious infection or injury. 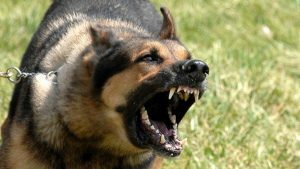 Whether it is a cute little pet dog or a street dog, its bite can cause real trouble. If a dog bite is left untreated, it may result in serious infections and ailments, including permanent muscle damage and deep-tissue scars. If the condition gets severe, you may have to undergo major reconstructive surgery. Moreover, a dog bite victim may suffer from mental trauma and depression if the dog bite leaves permanent scars on the face, arms or other exposed body parts. If the dog has an owner, then he is liable to pay compensation to the person injured and his family for the trouble caused by his dog. We can help if you are an injured by a hostile dog. We can help you with your claim for compensation from the responsible dog owner for the damage or injury caused. Call the dog bite lawyer team at Krasney Law for a complimentary consultation. We have attorneys and investigators capable of dealing with insurance companies, who try to pay as little as possible, even less than what you have coming. Also, some dog bite victims may need to file a lawsuit to get the insurance company to pay. Keep in mind, getting you back to good health is the No. 1 priority. Krasney Law’s expert attorneys and staff can investigate the circumstances of a dog bite and file suit for maximum damages to see that our clients get what they need to cover medical bills, lost wages and pain and suffering. Or, we can negotiate with the insurance company to get you a fair settlement in exchange for your injuries. Don’t admit to any degree of fault to anyone at the scene. If you or a close family member living at home gets bitten, wash the wound thoroughly with warm water and soap as soon as possible. Then contact a doctor for further advice. Also, inform the local animal control agency about the bite, and report everything you know about the dog and the attack, including the owner’s identity and address. If a stray bites, tell animal control what the dog looks like, where you were when it bit you and which direction it went. After all your medical and legal obligations are met, call Krasney Law for a free consultation. If we agree to take your case, we will deal with the insurance companies or other law firms to see that you have all the representation you need to get the full damage awards coming to you. 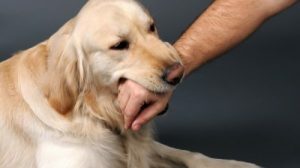 But when it comes time for a lawsuit, some California courts have found that if a dog bite victim provoked the dog, the owner is found not liable or only partially liable and isn’t required to pay any compensation or could be required to pay less than 100 percent of damages. That is true if the plaintiff or person bringing the lawsuit is an adult. If the dog bite victim is a young child, there is no provocation defense for dog owners. This precedent was established in a sad case from 1991 in which a dog mauled and killed a child who had not yet turned 3. Courts have ruled that children under 5 are considered incapable of acting negligently. In other words, in California, a child so young cannot be held responsible for provoking a dog. 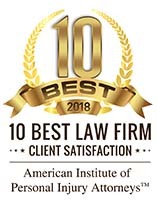 To get a free evaluation of your case, speak with an attorney who understands the complexities of dog bite claims. We have been winning big awards for our clients for years. We have experienced attorneys and expert staff who will go all out to represent you for maximum damages. 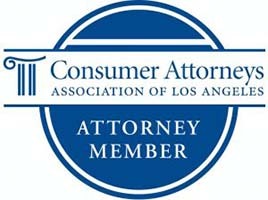 Call the team at Krasney Law for a free initial consultation. We will charge you nothing for an initial consultation, and we may arrange payment on a contingency basis. That is, we don’t get paid unless you get paid by either accepting a settlement or we go to trial and win your case.